Petro Vend will provide your home or business with a fuel card. The program is designed to help you save time and money by effectively managing your personal or fleet monthly fuel purchases. This reduces reconciliation costs and eliminates unauthorized purchases. 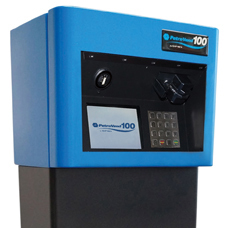 D and C Transportation’s Petro Vend system is a great service that helps you control your fuel purchases. It's simple to use. Just swipe your card, enter your pin, and fuel up. Our facilities are safe to use and well lit. We are committed to offering our customers competitive daily fuel prices. We understand price is critical in today’s market so we are always offering the best rates. What are the benefits of using Petro Vend? Pay NO TRANSACTION FEES, NO APPLICATION FEES, NO ANNUAL FEES, and NO SERVICES FEES when you use your Petro Vend card. You only pay for the fuel you purchase. It’s that easy.